Santa Rhino by Mirja T.
Many thanks for your interest in the RhinoDevel apps and all your support, too! Angel Rhino by Mirja T.
RhinoDressUp is a new game by RhinoDevel available for free for all bada phones! 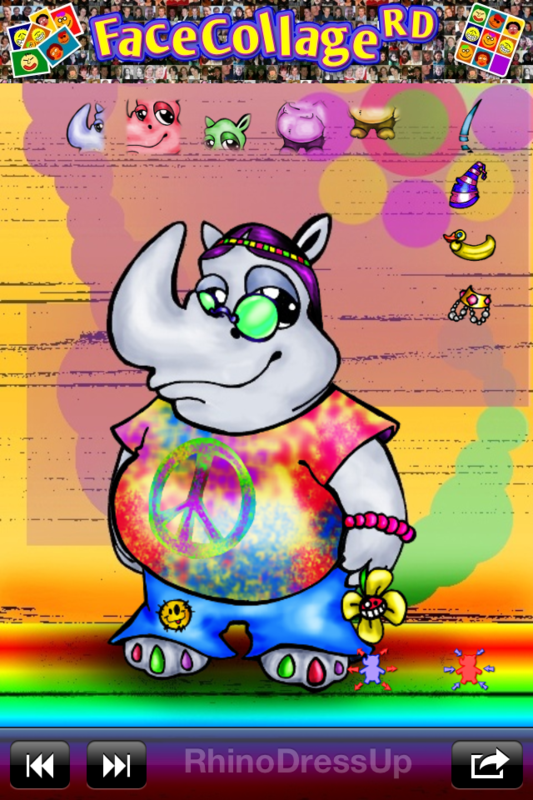 You may already know Manni – the RhinoDevel mascot – from our other apps like PhotoRhino and RhinoBlackJack. 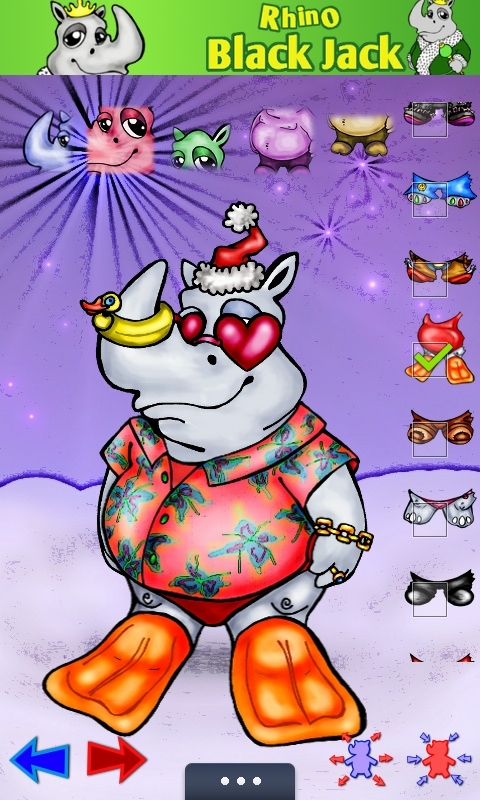 With the RhinoDressUp app you can dress up Manni just as you like. It is also possible to change the background and every background comes with a complete dress, too. You can even save your dressed up Manni as image file to use it as wallpaper, etc. RhinoDressUp is one of the apps (just like MirjasGallery, that is also available for free) that are only possible because of Mirja T.‘s great (art-)work. 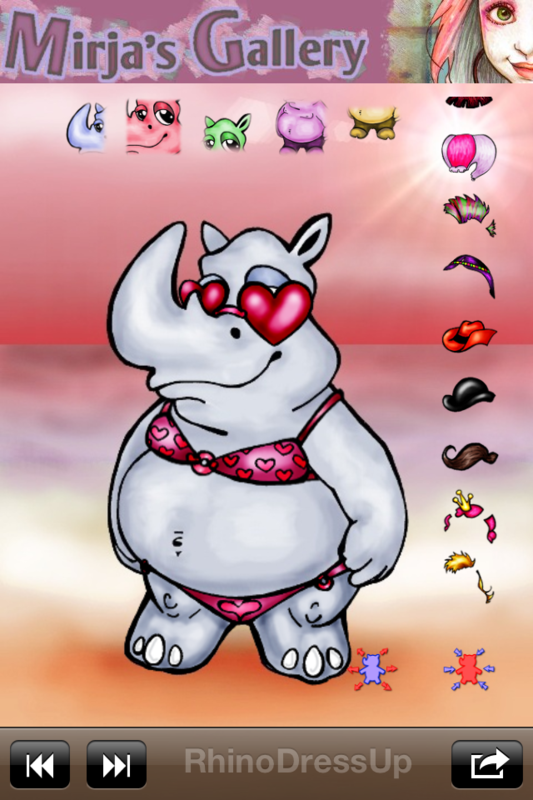 Mirja invented the rhinos and created all the backgrounds and dresses you can see in RhinoDressUp! Please let us know, if you like RhinoDressUp by rating and commenting directly at SamsungApps.com, liking RhinoDevel and Mirja T. at Facebook or visit Mirja’s online art gallery at DeviantArt.com. You can also find me at Google+!